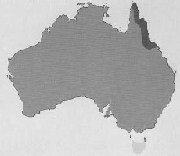 In Australia this large ratite is confined to rainforests and associated habitats in northern Queensland (see map below). 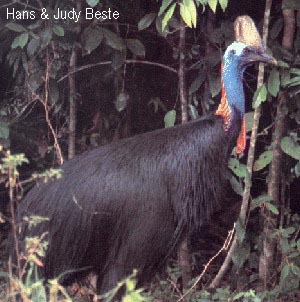 Other subspecies occur in New Guinea and nearby islands. 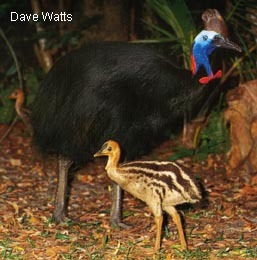 In these tropical rainforests, the Cassowary prefers stream banks and clearings. Hatchling downy; striped yellowish brown with longitudinal black stripes to about 3 months. 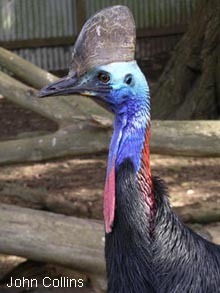 Cassowary juveniles have a brown-bodied head and neck pattern like the adult but duller, and also lacks a casque (helmet). 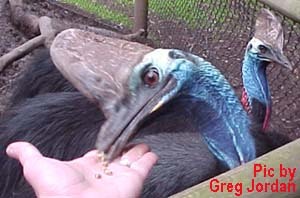 The body plumage becomes blacker with their increase in age. 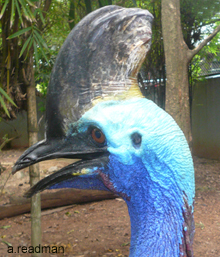 Each foot on the Cassowary has 3 forward pointing toes with strong claws to provide grip while running, the inner toe having a 12cm (5") long spike for defensive purposes when it kicks out when cornered. 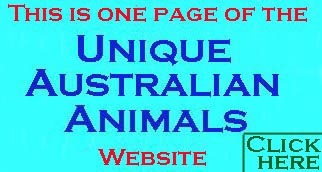 from May until November deserting each in turn after the eggs are laid.